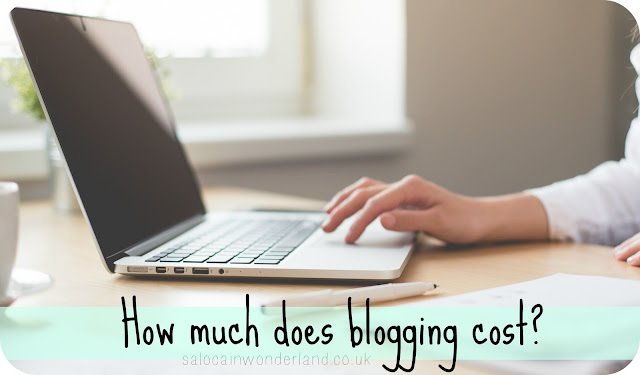 Saloca in Wonderland: How much does blogging cost? People are always asking how much money do you make blogging? But few ever ask how much does it cost to blog? Every hobby, and yes, blogging is a hobby, few bloggers are lucky enough to turn their hobby into a business, comes with a price tag. From albums for stamp collectors to binoculars for birdwatchers, every hobby requires essentials, time and financial investment. When I first started blogging I never stopped to think about how much it would cost. I registered for a free blog with blogger.com, I didn’t have a domain name or custom template, and my header was a PicMonkey do-it-yourself job. All my photos were taken on either my phone or my point and shoot digital camera and every product I reviewed was something I already had laying around or had paid for out of my own pocket. Blogging for free is do-able if you’re just looking to share your passion for something if you’re looking to connect with a community and stretch those creative muscles. If you have no interest in making a penny (which is fine!) then you can probably go pop the kettle on and put your feet up. And of course, one of the biggest investments; time. In the UK, the minimum wage is £6.70 (for those ages 21+). If you're looking at turning your blog into a job unless the stars magically align or you sell your first born to the dark side, it’s going to be a long time before you start making anything near that per hour you spend slaving away over your keyboard. Realistically it’s not going to happen overnight, or even over a couple of years. And that’s all before you take into account all the little extras you end up buying because you’re a part of the blogging world. Reviews by some of my favourite bloggers have led to me making new, unusual and random purchases I would never have even thought of. Then there's the bandwagons. When you see every blogger and their dog blogging about the latest must have holy grail of the skincare world, you do find yourself wandering past it several times in Boots before finally giving in and chucking one in your basket - and FYI - blogging justifies every purchase you’re in two minds about. Blogging doesn’t have to cost the earth, their are always alternatives, free software, online editors, cheaper designers etc. However, with an ever-growing, over saturated market, if you want your blog to stand out it’s going to end up being less about content and more about how it looks, that first impression you give a new visitor. Unless you're a dab hand at the ol’ coding and graphic design skills, you’re going to find yourself reaching into your pocket to get that wow factor look you’re after. So, how much does blogging cost? As much as you’re willing to throw at it. How much money do you throw at blogging? Has it cost more than you ever thought it would? I've spent so much money on my blog, including $60 on a theme today. It's cost a lot but so do a lot of the hobbies I do, so I don't begrudge it too much, but it definitely annoys me when people want me to WORK for free. My blog is mostly for fun, and if they want me to do something for them - then they better start paying me! True, every hobby requires some investment, and blogging for me is a complete hobby! It's crazy how much we end up spending sometimes though! It's an interesting one! When I first started, I was very strict at not spending anything as I didn't know how long I would keep it up. Now I've been doing it so long, it has definitely increased. I think if you don't blog beauty it is definitely easier, as I don't usually have any need to buy any products! I certainly go through phases where I try not to spend too much on the blog, especially when I end up buying things purely to review etc that I wouldn't normally buy! Blogging something that doesn't require product reviews is much cheaper though! I think this is a really interesting topic, and I agree that it only costs as much as you want to invest. Personally, I get sick and tired of bloggers saying "I NEED an expensive camera" and "I NEED a Mac Book", because you don't. I was blogging for 5 years before I bought a DSLR, and really I was buying it for my travels just as much as I was buying it for blogging. And as for computers, I'm a Windows girl through and through, so my desktop which was half the price of a Mac, and that has higher specifications than the best Mac out there, is all that I need. I would love to know how many bloggers have gotten into financially difficulty over their blogs, because I recon there are a quite a few out there. This is a very interesting subject. I agree with you, blogging as a hobby comes with a price tag like every other hobby. It does, but that price tag seems to go up and up the more we get into this little hobby of ours! It's crazy how expensive it can get! Sometimes it might be better not to think about it haha, but as long as I'm enjoying it I will keep spending on it here and there! 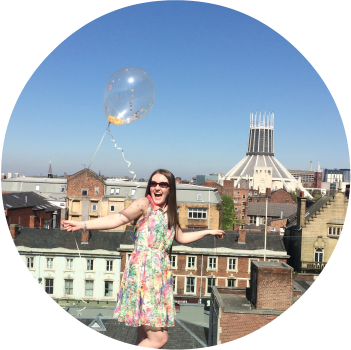 I've spent loads because of blogging! Cameras, lenses, props.. I also always use blogging as an excuse for things I want to buy. Like, ohh that dress would make a lovely outfit post. Let's buy it! Hahaha. What I think people don't realise though is how cheap domain names are and hosting! I host all 3 of my blogs off the same hosting account and it's only £2.99 a month. I wonder sometimes just what I would spend my money on if I didn't spend it on blogging! Chances are I would still buy ALL the things, I just wouldn't have a good excuse for it. Blogging is the perfect excuse! So true though! I pretty much don't buy anything these days unless I have a write up in mind for it haha! Terrible, I know! It's nice to see a blogger talk about this, especially when there are people out there who think blogging is an 'oh-so-easy', walk in the park! Aargh those people! They do my head in! If blogging was so easy none of us would need day jobs to fund it that's for sure! Really like this post. Blogging costs way more than people would expect. When you put it all in perspective, it's expensive. Especially making purchases towards fresh content. Unless you're a huge blogger who made it big, it can be a lot of money. I just started my own and working in conjunction to blogging the first few years is ideal. People always seem so amazed when I tell them that blogging costs both time AND money, they seem to think that all you need to do is set up a blog and freebies come tumbling through your letter box - we wish! REALLY interesting post! As a newbie blogger I am finding the investment of time ad money a surprise but it is pushing me creatively to figure out little hacks that save my pennies. Thanks for sharing. I have mostly only spent money on my domain and layout so far but admittedly I should be spending a lot more time!! When I started my big and YouTube I thought I could manage it for free - I got in way too deep way too quick, found my passion for writing and making videos and the money hasn't stopped flowing since then! And the best bit - I haven't made a single penny on either of them; I carry on because it's my hobby, not to make money! But it is costing way too much, I need to cut back haha. Wow this was an amazing and interesting post! I spent around 500 pounds on a dslr camera (to be fair I wanted it for my holiday but I 'justified' it by thinking I could later use it for blog photography) and like you say sometimes when I want to create really interesting posts or content o do have to splash the cash! I'm lucky in that I'm blogging things I would have bought anyway so far on thesparklespy.co.uk but to keep up with the amount of posting I've committed to this is likely to get pricey fast! I couldn't agree more with this post - it can be really expensive when you add all of the little things up! But I think that you get out of it what you put into it, and you will only spend that money if it's something you enjoy doing, not to out shine others (or that's how I am atleast!) - love this post! It's nice to see someone talking about the financial side of blogging. You've also made me realise I've paid way too much for my domain package (never use Weebly). There are so many out there and some are so expensive! I can't believe they get away with what they charge! I would be switching when it's up for renewal if its that dear that's for sure! I'd say go for things that you feel fit in well with your blogs theme! Props are something I am still trying to collect and style, I feel like I'm struggling to develop my image 'theme' right now but with practice and LOTS of window shopping, I'll get there!